Good. Yellow Pages due to Age **SHIPPED FROM UK** We believe you will be completely satisfied with our quick and reliable service. All orders are dispatched as swiftly as possible! Buy with confidence! Very Good. The strange and wonderful tale of man's experiences on Mars, filled with intense images and astonishing visions. Glued binding. A-format paperback. 224 p.
Good. The strange and wonderful tale of man's experiences on Mars, filled with intense images and astonishing visions. Glued binding. A-format paperback. 224 p.
I did not take to the style of the book, where so many people from earth are transported to Mars to establish settlements, once the defensive Martians had succumbed to chicken pox, for which their bodies had no natural defences. 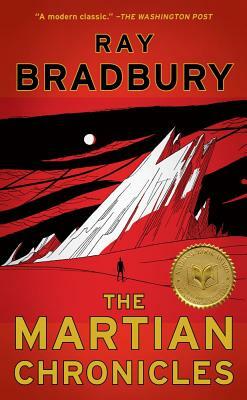 Bradbury uses a series of short stories to make political and social comment. Not an entertaining read, and needed self motivation to complete. Not one of my more enjoyable reads. I got what I wanted ! The Martian Chronicles are not for everybody. But if you're a fan of audio theater, and/or a fan of Science fiction and Ray Bradbury, then this is for you ! I was familiar with this piece of work so I knew what I was getting into - I got what I wanted. A fine book for sci-fi fans and serious readers alike. Ray Bradbury is always a great read. This arrived very quickly from the seller. No problems at all. They were enjoyable. I listened while I was on the tread-mill. Would buy from the seller again certainly.